Jean Julien Champagne devoted years to maintaining the fiction of Fulcanelli’s vocation as an adept. He had launched this fiction and it was maintained by the whole group around him, all of whom must have promoted the myth: Gaston Sauvage, the Chacornacs, Pierre Dujols, Canseliet, Jules Boucher. They formed this mysterious “Fraternité d’Héliopolis” (F.C. H.). This double name (Hélio = sun; polis = city) had perhaps been borrowed from the Belgian Lodge of the Memphis-Misraïm rite that in 1839 called itself “Les Sages d’Héliopolis.” Eugène Canseliet placed the birth of Fulcanelli in 1839, the year of the establishment of this Lodge. This was a gesture, a reference, a broad wink in the direction of the eminently Free-Masonic circle around Pierre Dujols and Champagne: Thomas, the associate of the bookstore owner and of the painter had this affiliation, as did Oswald Wirth, Guénon, Chacornac, Marc Haven, Boucher, and Ferdinand de Lesseps, in whose honor the Masonic feast was given in 1876. It is probable that the de Lesseps children also belonged to the Freemasonry movement. Champagne traveled around and, in the course of his moving, undertook to reproduce sculptures that seem to him to have arisen from an alchemical intent. He journeyed to Limoux, where, accompanied by his faithful disciple Eugène Canseliet, he visited the cathedral of Notre Dame in Marceille. 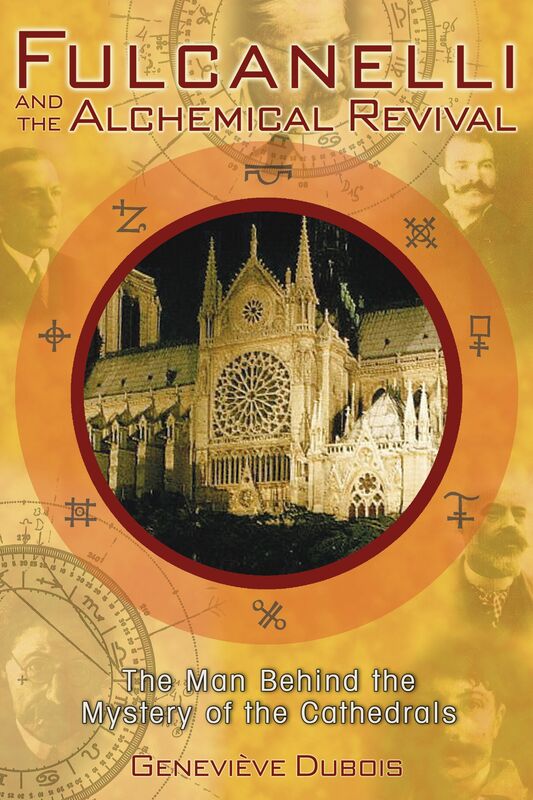 Dujols and Champagne set to work on René Schwaller’s notes on the cathedral of Notre Dame in Paris and in particular on its relation to Hermetic science. Dujols brought to this endeavor his remarkable learning and Champagne contributed his talent as a designer and genial engineer. They restructured it, enlarged it, layering it with their prodigious knowledge in this field, and Champagne confided the whole content to Eugène Canseliet in order to support the purported existence of the mysterious adept. This is how it came about that, on June 15, 1926, the Mystère des Cathédrales was published by Jean Schémit in Paris, under the pseudonym of Fulcanelli, to the considerable amazement of Schwaller, who was at the time in Switzerland at Suhalia. He recognized his work, the work that he had loaned to Champagne in the years 1920–22. He was to say later to André Vandenbroeck, “I’ve been taken by Fulcanelli, my ideas have been taken; well, at least now it’s written down.” He always called Champagne: Fulcanelli. In 1929 Champagne traveled to the south of France, having been invited by Schwaller, who was living at the Mas-de-Coucagno in Plan-de-Grasse. The letter sent to the alchemist to invite him to Provence was addressed to a certain Mr. Hubert. It was in this regard that a debate arose between Eugène Canseliet and Robert Ambelain with Ambelain claiming that Champagne had called himself Hubert and Canseliet maintaining the opposite and that it was the first name of Champagne’s father. This bitter exchange was related to the interpretation by Robert Ambelain of the closing chord of the Mystère des Cathédrales. We find there: UBER CAMPA AGNA or, phonetically, Hubert Champagne, revealing that Robert Ambelain was right: Champagne did indeed have the first name “Hubert,” which his death certificate in fact records. He had pinched the identity card of his father, whose first name was Hubert, taking it as his own in order to pass for an age that his appearance was to belie. Robert Ambelain was to demonstrate in this way that Fulcanelli was Champagne and that Champagne had signed his book in a cabalistic manner. A disturbing question remains about Pierre Dujols: did he really, as I believe, know the secret of the Great Work? The refinement of his philosophy and certain enigmatic words he let drop would indicate that this man--so detached from a search for glory or fame and of a fundamentally honest nature--was acquainted with the operational method of the Great Work and, if he did not pursue it to its ultimate accomplishment, it was only because he had to suspend his operations by reason of his state of health and by reason of material and financial difficulties. For those who do not believe in the reality of metallic transmutations but only in a representation of the sublimating operations of the soul, or for those who, like myself, tend to not be so concerned about that issue, he maintained with all his authority that metallic transmutation is possible, that it was known from the most remote antiquity and that it is alone knowledge of that which can provide the power--a power both sacred and royal--to confer to the initiates the knowledge of the spiritual and material laws of the universe as well as its past and future history. Dujols took his secret with him, not having judged it good to divulge it, even to those who shared his complete confidence, but his life can be an example: those who truly embark upon the hermetic way must expect, as did he, to meet silence, isolation, solitude and the lack of understanding of others. There are reasons why the word hermit has so many connections with the name Hermes. At the threshold of such a life, the being hesitates and ponders; he cannot conceive that he might, at the same time, have so much science (knowledge) and not be understood. As Christ in the Olive Garden, he is tempted to say: “Father, remove this cup from me.” But also like Christ, he cannot avoid entering the via dolorosa, where there awaits him abandonment by friends, scorn, being spat upon by the ignorant, the ascension of Calvary up until the moment when finally, for him, the veil of the Temple is rent.